The executive producer of the FIFA football video game series (David Rutter) has revealed EA Sports vision for the future of the games. He says that they want to concentrate FIFA 14 on the online side of things, at the same time of keeping the offline popular as ever. EA want to make FIFA 14 a always-online interconnected community bigger for the upcoming title. When players have their console already connected, they experience the EA Sports Football Club better than ever before. The fact that all the achievements you do goes recognised is fantastic. The team at EA plan to bring data updates on all of the professional footballers in the modern game today. Whilst also bring numerous challenges for all the real life football matches. They’re also keeping the offline mode so that players can play on their own via the FIFA 14 career mode. Some people just prefer not to hook up with their friends or are not interested in the online version of the FIFA games. Electronic Arts seem to understand this and plan to keep that element of the game into the next edition. The FIFA 14 Ultimate Team will be bigger than ever too and EA plan to not have as many glitches, bugs and server errors this time round. 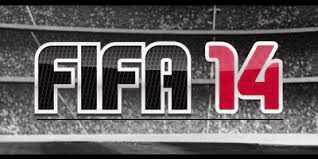 FIFA 14 will be out in September 2013 for the Xbox 360, PlayStation 3 and Windows PC. EA Sports are also working on a version for the PlayStation 4 and Xbox 720 too.